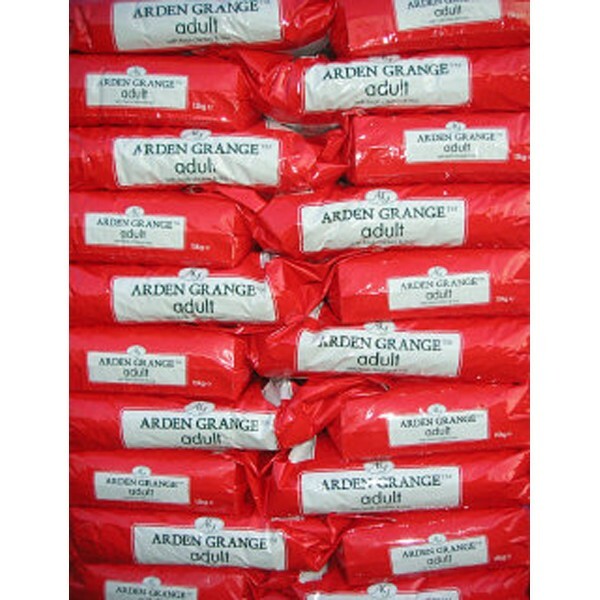 Arden Grange Chicken and Rice Dog Food is a highly digestible, palatable food and contains ethically produced human grade chicken, no battery farmed chickens are used and does not include the undesirable bits of a chicken like the feathers, heads or feet that can be fed dry or moistened depending on your dog's preference. 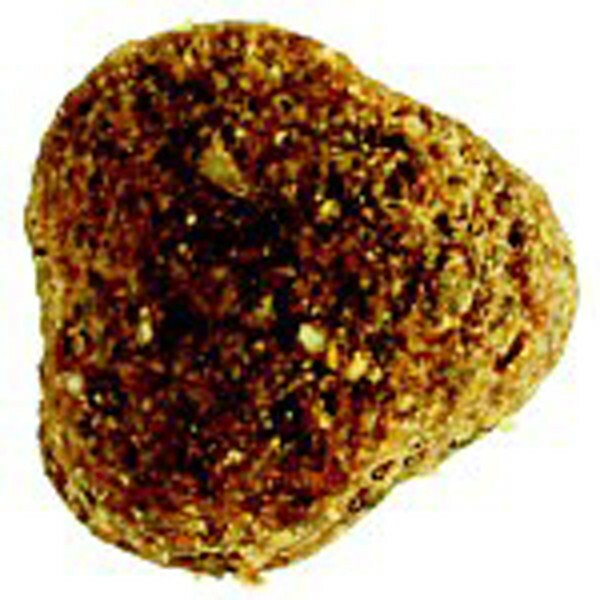 Arden Grange Chicken and Rice is an ideal adult maintenance food suitable for pet dogs or those used for light work with added Glucosamine, Chondroitin and MSM to help maintain joint health, contains 45% chicken ingredients and pure chicken oil as the main fat source, as it is easily digested, formulated with a medium sized kibble that will be accepted by a variety of breeds, including larger breeds such as, boxers, labradors and german shepherds who may prefer the smaller kibble size! 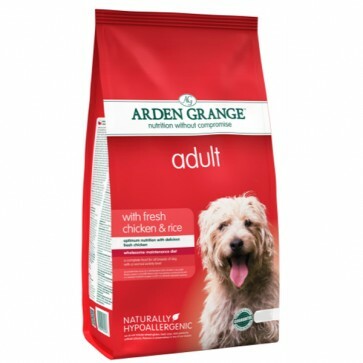 Like all arden grange adult varieties the chicken and rice recipe contains prebiotics to help remove harmful bacteria, thereby reducing digestive upsets, whilst the inclusion of nucleotides maximises the digestion of foods in the gut, allowing optimum levels of nutrients to be absorbed. As with all arden grange foods the adult chicken and rice variety is also hypoallergenic and free from wheat gluten, dairy products, beef, soya as well as artificial colourings, flavourings and preservatives to avoid adverse food reactions. The symptoms of food allergies vary from digestive disorders to skin complaints, but feeding your dog a hypoallergenic food is less likely to trigger an adverse food reaction than non-hypoallergenic, meat derivative based foods that may contain artificial colours and flavours. As they normally do not specify exactly what you are feeding your dog, making it extremely difficult to exclude ingredients that may cause a food allergy or intolerance! Lastly arden grange chicken and rice contains natural antioxidant vitamins A, C, E, beta carotene, yucca, cranberry and rosemary oil to inhibit the formation of destructive free radicals, to enhance the immune system and omega 3 & 6 fatty acids in the correct ratios for good skin and coat condition. Cranberry extract is also added to help maintain urinary tract health, whilst yucca may also help with body and faecal odour. Excellent as usual. Next day delivery. Excellent. The goods were delivered the next day and I would definitely buy from this seller again.